Whatever the detection method, there are strict rules governing admissibility of evidence gathered by the use of these electronic or mechanical devices for use in Court. What this means is the agencies must play fair with all or the evidence of speeding is out. Many of us are familiar with the 80 MPH trees! To avoid those situations, Florida has very fair rules. 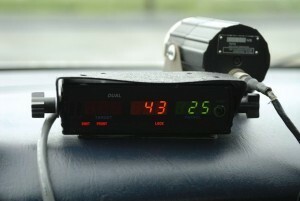 Therefore, it is always a good idea for the motorist to challenge speeding tickets as well as all moving violations. Why? To begin with, the the insurance companies use speeding tickets to jack up motorists insurance rates. (Some companies like GEICO are even buying police agencies RADAR and LASER systems). In Miami-Dade County, a single ticket can raise rates by $325 per year for five years…That’s a whooping increase of $1,625 for paying one ticket! I encourage you to set up a free no obligation consultation with one of our attorneys. Get to know our staff of lawyers and paralegals. Check out our modern fully computerized facility, then make your decision. Over 8,000 clients over the years have repeatedly called on us in their time of need. Call us today at: 305-644-1800. At Ticket Law Center, we defend those accused of D.U.I., Suspended License cases, Reckless Driving, accidents, and all traffic offenses. Attorney Albert M. Quirantes is here to fight for you. As your private traffic criminal defense trial attorney, my goal is to successfully defend your D.U.I. and traffic case in court, protect your driver’s license, and keep insurance costs down.